Product #16031 | SKU BTR-NB5L | 0.0 (no ratings yet) Thanks for your rating! 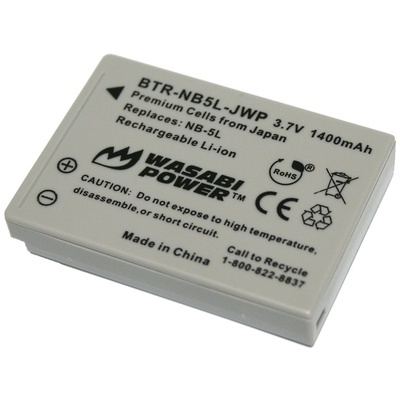 This Wasabi Power battery replaces the Canon NB-5L digital camera battery. It is compatible with many Canon PowerShot, IXY, and IXUS camera models. It meets or exceeds OEM standards.